James Eggers (i.e. Jamie Flanagan) has been an educator in the public school system teaching World and American History for nearly 30 years. 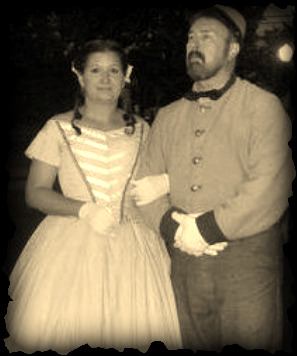 He has participated in Civil War living history for over 20 years. He thoroughly enjoys engaging his audience with stories from a simple soldier's perspective. 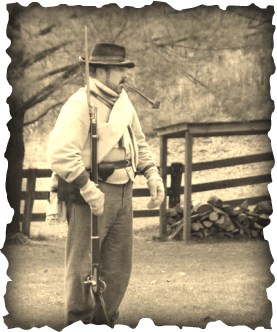 Complete with music, singing and interactive activities, you will find yourself captivated with the life of a volunteer infantryman in the midst of the War Between The States. He is in the midst of working on a presentation of the Civil War which will highlight the songs of the war and how they changed as the war changed.